A GREAT home that's ready to be called YOURS! 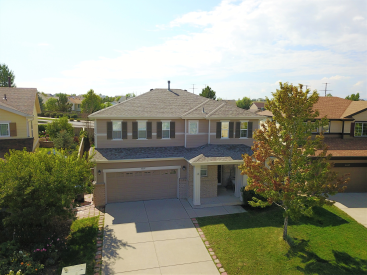 Come see this beautiful home located in Castlewood Ranch. This home boasts 3 bedrooms on the upper floor, the master includes a bath suite and walk-in closet. A loft for great extra space for study or play, and a second full bath complete's the upper level along with a separate laundry room. The basement is unfinished with large egress windows and is waiting for your personal touch. The main level has an open concept extending from the kitchen to the living room as well as a gas fireplace in the living room. This home has a gorgeous newer exterior, newer roof, and many of the windows have been replaced as well. The backyard has been completely replaced and landscaped as well! Trails and parks are conveniently located within walking distance.